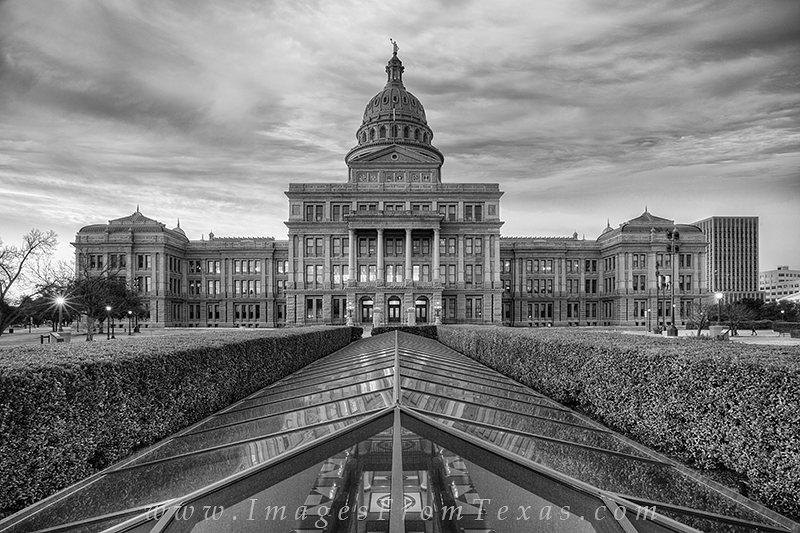 Interestign clouds and soft light permeate the Austin, Texas, skyline and the iconic state capitol in this black and white taken on a cold February morning. This view looks south at the "back side" of the capitol. I think this location is just as photogenic as the opposite view just because of the symmetry and glass that leads to the building itself. Interestign clouds and soft light permeate the Austin, Texas, skyline and the iconic state capitol in this black and white taken on a cold February morning. This view looks south at the "back side" of the capitol. I think this location is just as photogenic as the opposite view just because of the symmetry and glass that leads to the building itself. Photo © copyright by Rob Greebon.